Last minute presents to buy, food to prepare, and cards to send as we get stuck into that age old tradition of getting ready for Christmas. With all this to do, it’s easy to forget that there are those for whom Christmas is not the ‘best time of the year’ but rather it’s the most dreaded time of the year. Instead of joy and sharing, it’s a time when finances and tempers are stretched to the limit, when tensions run high and the season just seems like one long period of disappointment at home. And our aim is simple – to give them both very practical support with food supplies and to let them know that they matter and we care about them. Provident, employees will, yet again, give up sending each other cards in favour of making a donation to share. Stroud Sainsbury’s who are donating special carrier bags to package them in. 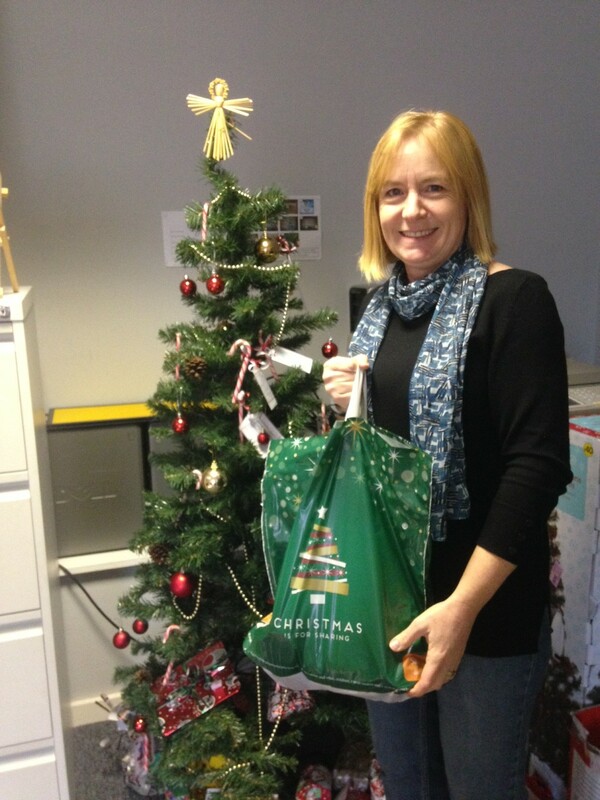 The bags have just been delivered and what a wonderful message is printed on them ‘Christmas is for sharing’. Stroud District Foodbank and Fareshares will provide fresh produce. Neither would it be possible without the support of our fantastic team of volunteers. Over twenty volunteers will be literally going that extra mile to deliver these hampers to spread some needed Christmas cheer around our district. We want to say a massive ‘THANKYOU!’ to our incredible team of volunteers and supporters, who have made it all possible. From everyone at The Door and to all our supporters, friends and those who we have supported; every blessing to you all and we hope and pray for a peaceful and hopeful Christmas this year and always.